Choosing the best rugs living room rug for your home can be a difficult decision, and many people don’t know what to look for. The size, colour, style and weave of a rug is all something you should take into consideration. Even if you know this, you still might not know what it is you’re looking for to suit your interior. To help you out, we’ve put together an essential guide to how to choose the best rugs for living rooms. Have a look at our top tips to make sure the new addition to your décor is the perfect fit for you and your home. First of all, there’s the more technical side of the rug that you need to pay attention to – fibres. When it comes to finding the best rugs for living rooms, fibres are an important factor to take into consideration. It’s good to keep in mind what the rug will be used for and who will be using it. For example, is it a high-traffic area, do you have pets and children, will there be furniture resting on it or will you be sitting on it. Wool: Wool carpets are durable and very warm, so are good if you want a rug to help insulate a room in winter. Wool is typically quite easy to clean, and is also flame resistant if you’re looking for a rug to place in front of a fire. However, Wool doesn’t fare very well against acid spills like juice and wine without it being ruined. It is also quite an expensive material and is prone to shedding, which can aggravate allergies. Wool-Mix: Mixing wool with a man-made fibre can help to reduce shedding and help the rug keep its shape when wool can warp slightly. It’s quite durable and is good for living room rugs subjected to heavy footfall. Mixing wool with fibres such as nylon, polyester or polypropylene makes a cheaper alternative to a wool rug. However, they tend to reduce the lifespan slightly as wool is naturally very long-lasting whereas the man-made fibres aren’t so much. Polypropylene: This is a man-made fibre, but because of that is the most resistant to staining and wear. It’s very tough, and can even be cleaned with a part-bleach solution (but check with your retailer first!). However, it is flammable and isn’t self-extinguishing so it’s best not to invest in this if you have an open fireplace. It’s also not great at retaining its shape after having furniture placed on top, and dragging furniture across it can cause irreversible damage. Polyester: Polyester is very resistant to fading and is very easy and quick to dry. It is resistant to water based stains as it has such a low level of absorbency, but oil based stains are very difficult to remove from polyester. It is manmade and usually blended with another fibre but is the closest to wool in appearance and feel. Jute: Natural fibre rugs such as Jute rugs can be a good addition, and work well in rustic style interiors. It is relatively inexpensive and tends to come in neutral shades – so go with a lot of interior styles. Jute is the least hard-wearing of the natural fibre rugs but is the softest style of natural fibre to choose from. Sisal: Sisal is another natural fibre. Sisal is very hard-wearing when it comes to high-traffic areas and lots of footfall. However, but it does stain very easily even from water, and is quite difficult to clean. What are you trying to do with the rug? To find the best rugs for living rooms, you need to think about the practicalities. First you need to figure out what the purpose of your living room rug is going to be. Are you using it to unify the room, or are you trying to anchor some furniture, or maybe just add some carpeting to the centre of the room. When it comes to a living room rug, it needs to be balanced. This means that you want the rug to be centralised, and have equal amount of non-carpet to carpeted floor space. You also need to balance your furniture, ensuring that it is centrally placed and sits in line with other furniture in the room and on the rug. If you’re doing it to unify a room, you’ll want all furniture to sit on top of the rug, like the diagram above. You’ll want to leave at least two feet to six inches of bare floor around the edges of the room so it doesn’t look too big. Using this method can actually make your living room look much bigger, so is useful for smaller spaces. If you’re using a rug to anchor a room, then you should have it large enough that all sofas and armchairs can have their front two legs sitting on the rug. This stops the rug ‘floating’ in the room, and looking less part of the décor and more out of place. For this method, you should make sure the rug is longer in length than your sofa. If it’s not, the sofa will overwhelm the rug and it will look strange. This space has used the living room rug well to unify the room, and to define the living room space versus the kitchen space in this open plan room. If you’re going for a circular rug, have the furniture on the outside of the rug, but try and have part of the rug tucked under the middle part of the furniture to centralise it. Place a coffee table on top to help unify it all. If you’re opting for something like an animal pelt, have it as a feature – don’t place furniture on top of it. You should always measure the space your rug is going first. So you can have a grasp of good dimensions and sizes for your living room. A living room rug can often look out of place and silly if they are too small for the space, or furniture has to be shifted around to fit it in. Using a rug that is too small to anchor your furniture, it will make your living room look much smaller. Interior design rules generally advise to avoid this method as it doesn’t do your interior any favours. If you do want to try this style, it’s best to do it with rugs that are a feature themselves – but be careful with this method. When buying a rug, you should also take into considerations the practicalities of what you want to invest in. The best rugs for living rooms need to be able to fit into your lifestyle and household to ensure they last. If they aren’t practical, they purely won’t work. Firstly, a rule that can apply to most living room rugs is wear. 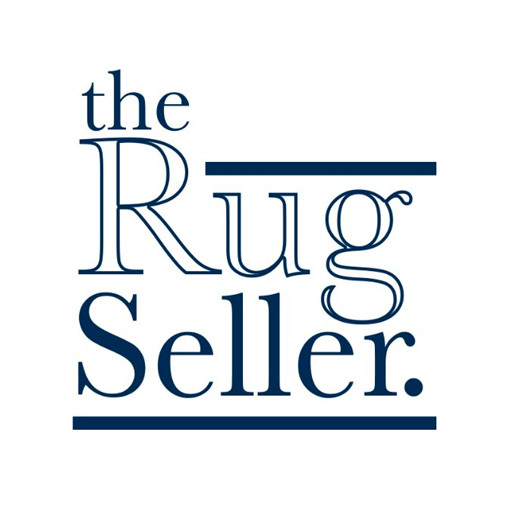 No matter who it is that lives in your household, your rug is likely to be subject to a high level of footfall. You should make sure you consider which materials are best for your living room rug. Flat-weave and low-pile living room rugs are the best at reducing the look of wear. They’re also much easier to clean when vacuuming or removing a particular spot stain. Also, having flat-weave or low-pile rugs, they have less depth and room to hide bits of dirt, germs and food. So they ten to be the best rugs for living rooms if you have young children who are prone to wearing more of their food than they eat! If you have hard flooring, and you were hoping that a thicker piled rug would give some extra padding so aren’t sure on low-pile or flat-weave. Invest in a good rug pad to fit on underneath. It’ll add a plush layer and make it softer and more friendly for sitting. If you’re still worried about stains, opt for darker patterned rugs for something that won’t show smaller stains so easily. These really are the best rugs for living rooms with high-activity – it’ll save a lot of stress and cleaning. Have a look at our infographic here for more details on how to clean a rug. Also take into account if you have elderly people in your household that rugs can be a tripping hazard. Try and place edges away from doorways and invest in anti-slip rug grips to keep it in place. When looking for a living room rug, you need to ask yourself – how do you use the space? And what is the room like? If you use the floor to sit on, then a thicker rug would be desirable. You should opt for a thicker pile for more comfort, or for a thick rug pad so there’s more cushioning against the floor. However, if you’re only using the rug to warm up the décor of the room. Then the thickness won’t necessarily be a factor to consider. If you’re investing in a rug as a feature piece of ‘art’ then you need to take into account different factors. 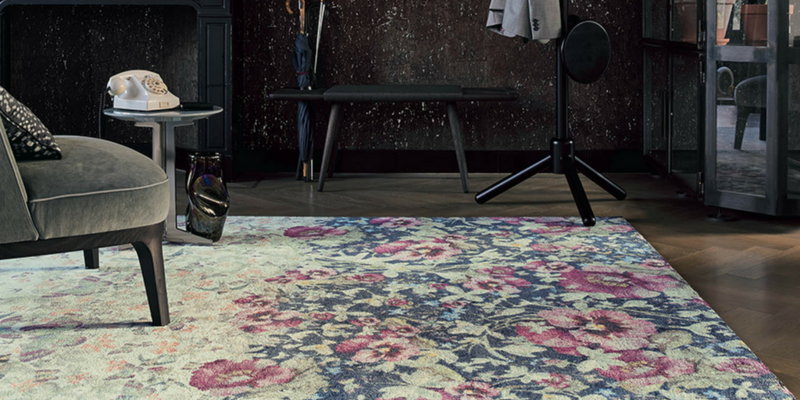 Find this fabulous rug from our Ted Baker collection here. Small living room rugs with bold patterns, such as flowers or bold colours, can make a room look larger. So for smaller room, this could be helpful at giving the illusion of a larger space. However, if you are opting for a bolder rug, make sure you aren’t placing a coffee table or furniture on top of it. You want to be able to see it, so hiding it under furniture stops it being the feature piece it should be. To open up a room and create the feeling of spaciousness, then lighter and neutral coloured living room rugs are ideal for this. A simple rug really are the best living room rugs to unify and expand a space. If you want to create the feeling of a quaint and cosy room, opt for busier rugs with more patterns in darker colours. Once you’ve got all the practicalities out the way, you need to think about the style. If you’re re-doing a room entirely, many interior designers tend to say the best rugs for living rooms are chosen first. Meaning that everything falls into place around it. If you’re able to build around the rug, then you can decorate with primary and secondary colours in your room that are also in your rug. This style works beautifully and really works to unify your room’s décor. If you’re not redecorating, there are things to consider before choosing the style and design of your rug. 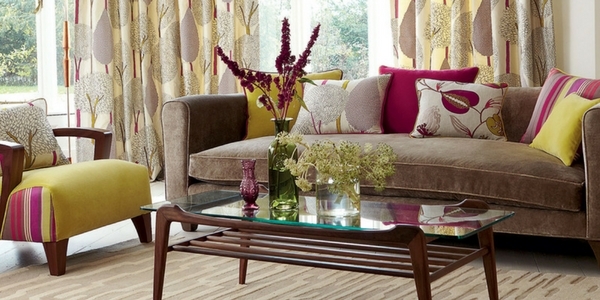 Whether you have plain and solid coloured furniture, try a patterned and bright rug. If you have a lot of prints and patterns going already then it may be better to opt for a plain rug. You could clash patterns but it’s risky and if you’re not careful it may make your room look overcrowded and clumsy. For a patterned rug, match accent colours in the rug to drapes or cushion to help complement the rug and make it fit into the décor. Like the décor here surrounding this Zeal Rug in Pewter by Harlequin. The best rugs for living rooms will fit into your current interior. This will also help to complement other aspects of the room. You can even match with a solid coloured rug, but try not to overdo it as too much of one colour can make the room lack depth. But you could always try and experiment with texture to add depth to the solid colours. Living rooms really can be transformed by the perfect rug. Whether it’s injecting some extra colour and warmth, or helping accent those elements in your interior, there’s so many benefits to a living room rug. Once you get your head around the little technicalities such as rug care and material, it’s much easier than you think. Choosing the best rugs for living rooms can be a task, but we hope we’ve helped you get one step closer to selecting your perfect rug! So do you think you’re going to invest in a living room rug? Let us know in the comments! Discover our tips and advice on Design, Colour, Size and Materials to help you find the perfect rug for your Living room. HI, I’m looking for a small hearth rug (70 x 135). It’s to go in front of an open coal fire so it’s important that it is pure wool (synthetics just melt if a spark escapes the fire). The rug needs to be patterned so that coal marks don’t show up too much. In terms of colour: red & grey are my preferred options. Hello! We do hearth rugs 🙂 Our Royal Aubusson range is 100% wool and comes in a variety of shapes & colours including Red. Hi Aarsun, Thanks very much & no problem! Looking for a 8′ runner to match the violet background of my gorgeous purple “Datcha” rug by Arte Espina which they stopped making ! Hello 🙂 Oooh lovely! A good suggestion would be our Nordic or Matrix runners. Nice article !! Area rugs can be an investment both visually and financially. They can make or break a room and instantly change the way a space feels. Thanks for the article. I’m looking for a rug for our living room. My baby is 10 months and will be starting to walk soon and we have hard wooden floors. It’s a high traffic area as it leads to the kitchen. We have a dark grey sofa, a soft mocha wall at the back of the stairs in the room while the rest are dusty pink. We have dark wooden furniture so I was looking for something to brighten the room but not too busy. Any suggestions? Hello Carol 🙂 Wow that’s awesome and so you’ll need a rug that’s child-friendly, comfortable and not too over-bearing colourwise 🙂 Do you have any preferences? E.g. plain, modern, floral, striped? Below is a good rug that isn’t too bright and also goes really well with the dark grey sofa. Please can you tell me if your Twilight range of rugs is made by the Belgium rug makers Ragolle. Hi Clare 🙂 Our Twilight collection is made by a brand called Mastercraft, hope this helps! Hi Isabella, have you had a look at out Kendra or Ziegler hall runners? Hi Astrid, I see! Have you tried a light blue rug? As they can look very nice with a dark blue aesthetic. Or striped blue rug? Even a monochrome rug will go nicely with a dark blue sofa and slate table. Have a look at some light blue rugs, as maybe it was the pattern of your duck blue rug that didn’t match your room decor? Your information based on how to choose rug for living room is really nice.However style and design of rugs is also matter for room So before purchasing any type of rug. Also need to take care of pros and cons of rug. Can you tell me the names of the rugs shown in the rug care videos please mainly the unpacking and anti-slip videos. I’m looking for a rug to go with mainly taupe furniture, something with blue, brown, beige colours to contrast. Thank you. Hi Debbie, here are the names of the rugs from the rug care videos! Nice post. Thanks for sharing this informative and helpful post about best rugs for living rooms. This is a very great article. Rugs on the living room really compliment with the design of the living room itself. Thanks for the ideas.